This is a daily office book for people who want to integrate a discipline of silence and prayer into the pattern of their busy lives. The contents follows a four-week cycle, with morning and evening prayers and further seasonal material for Christmas, Lent, and Easter. 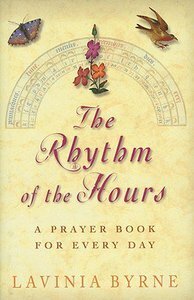 The book aims to provide a thoughtful, reflective, personal retreat integrating the natural rhythms of the seasons with the Christian year. About "The Rhythm of the Hours"